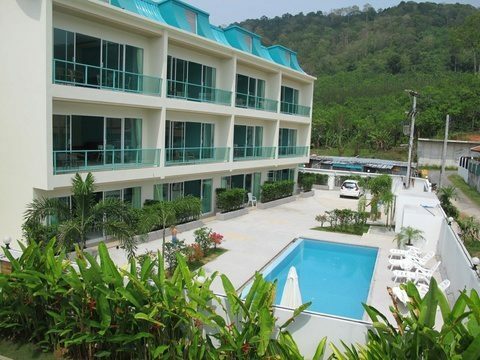 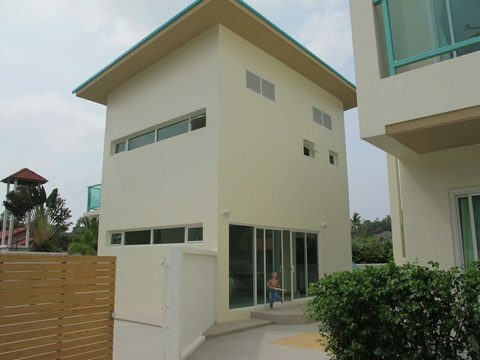 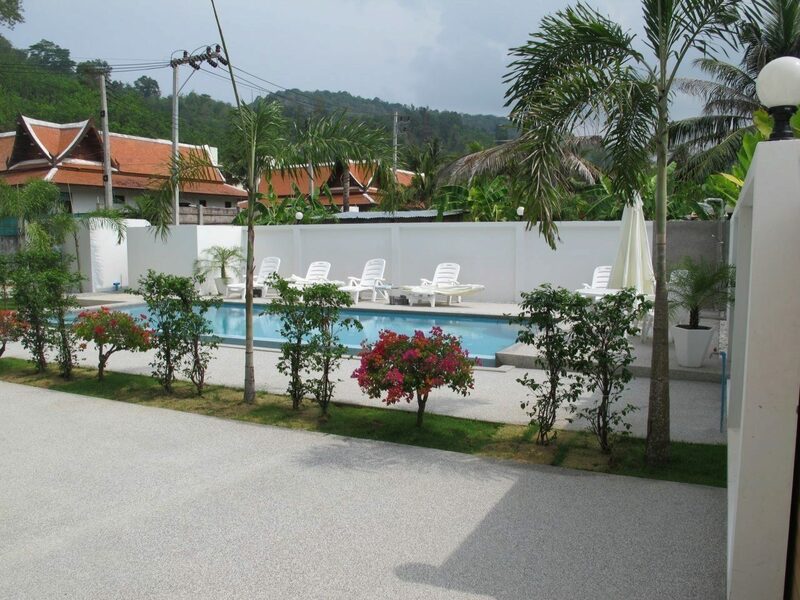 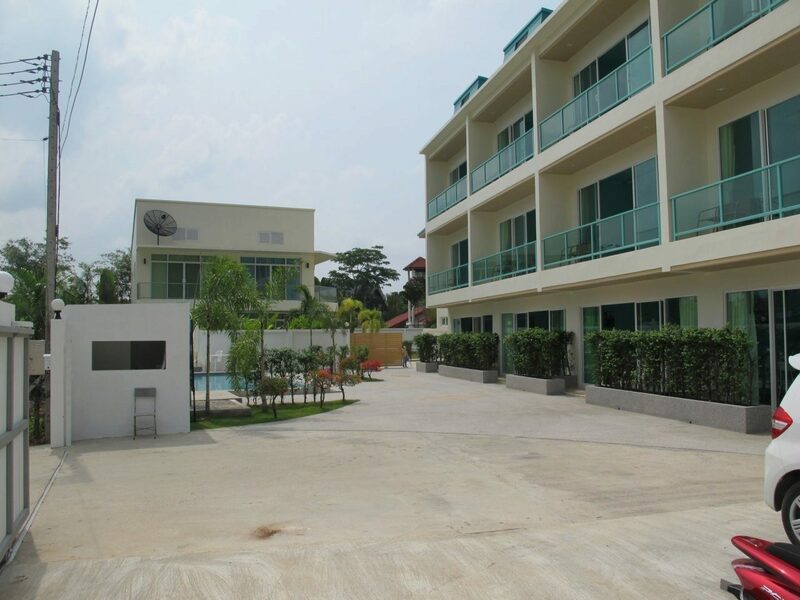 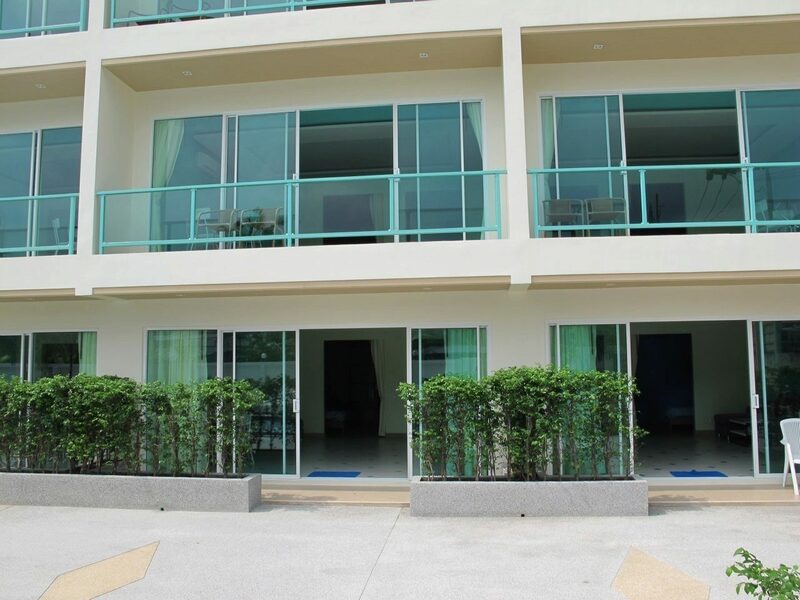 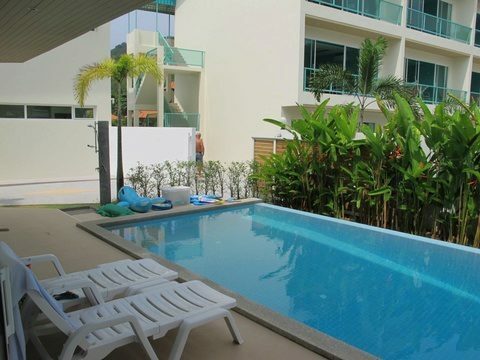 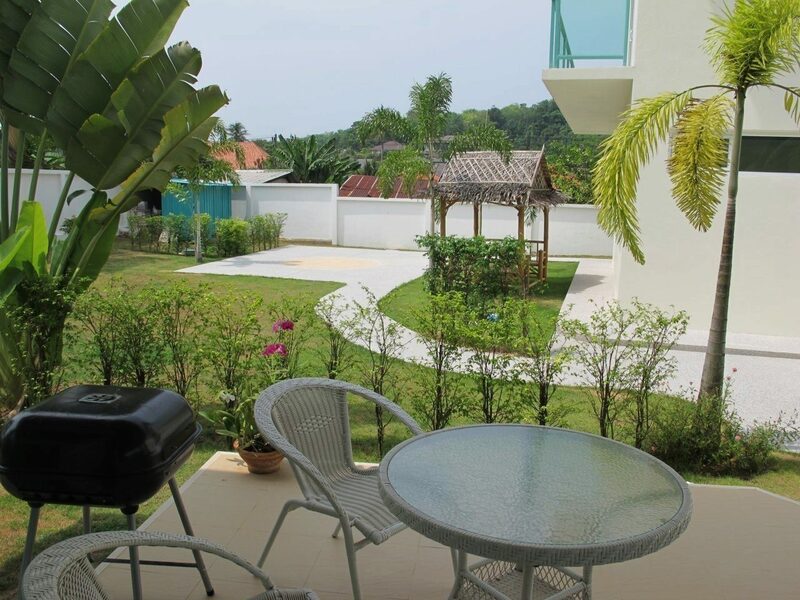 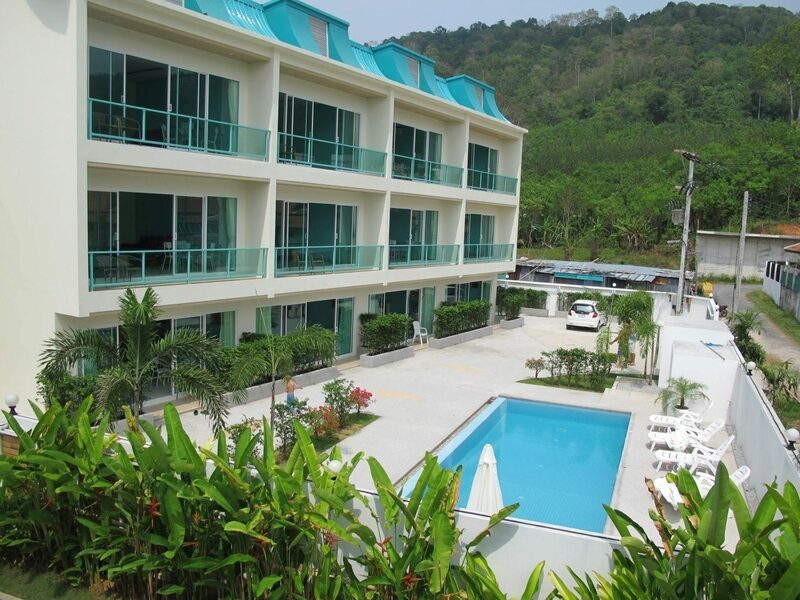 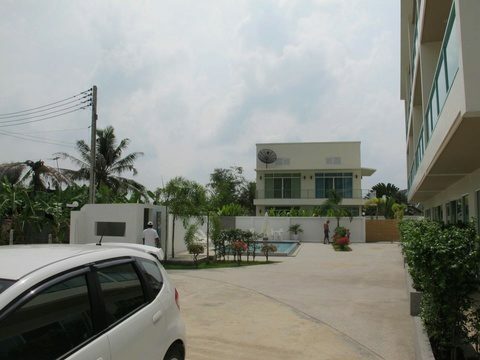 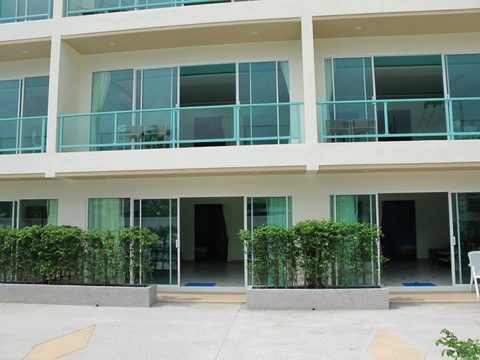 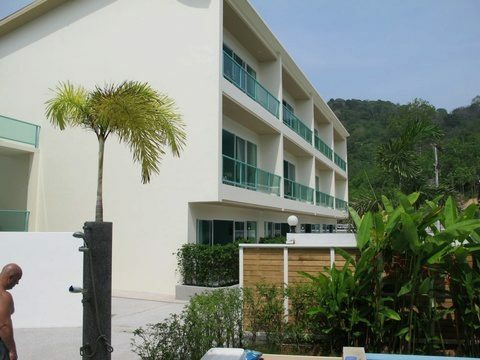 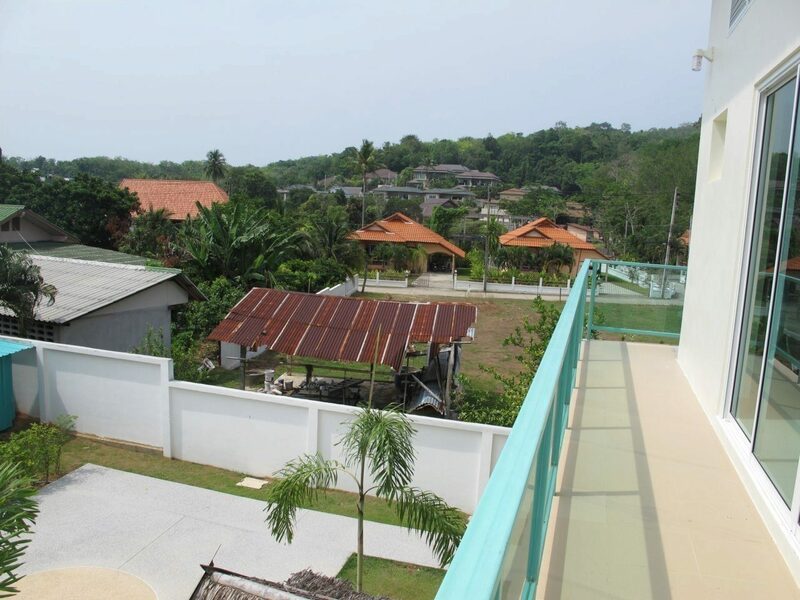 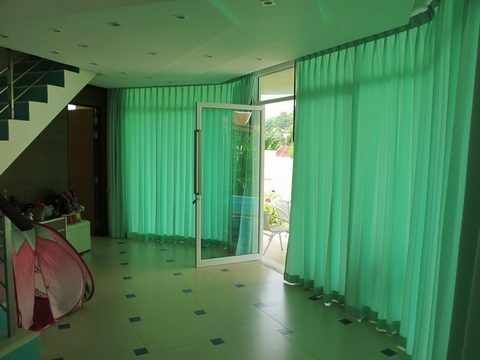 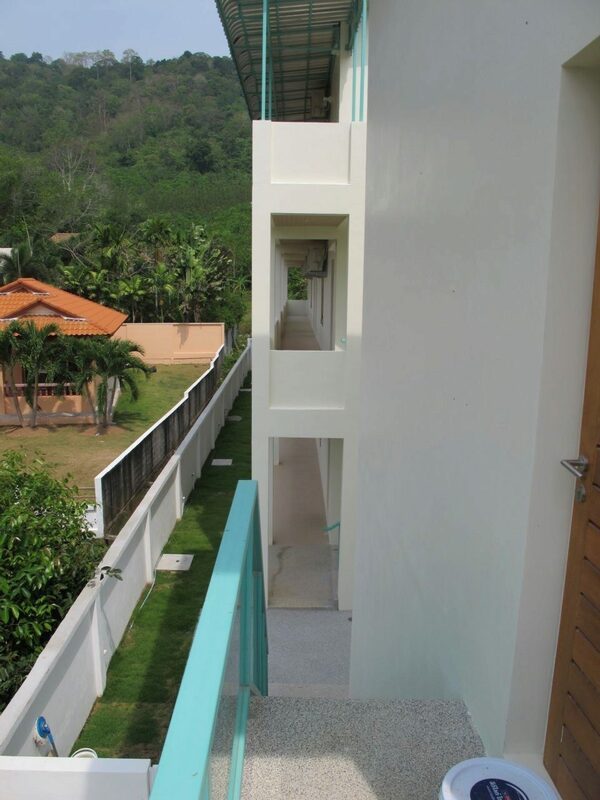 Brand new development of 12 Apartments and pool villa is located just 10 minutes walk to Naiharn beach. 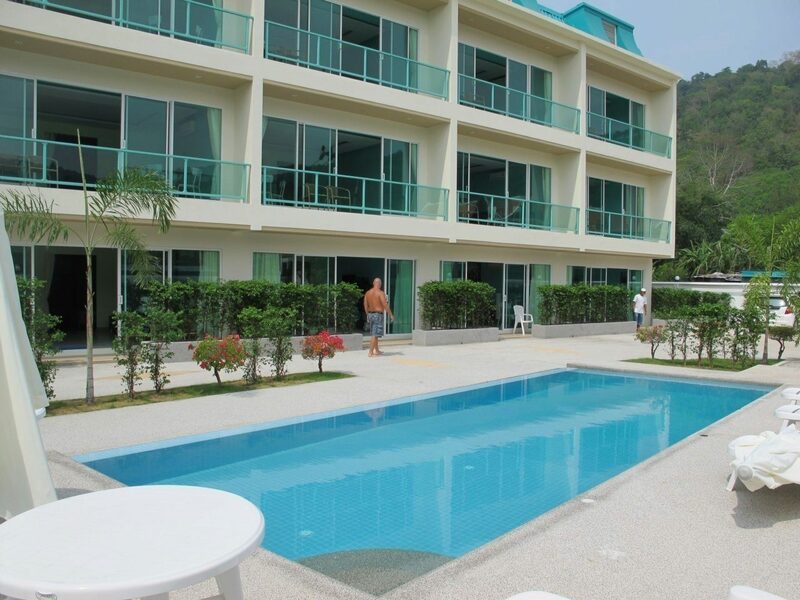 Very quiet and luxury location, with expensive resorts and villas around. 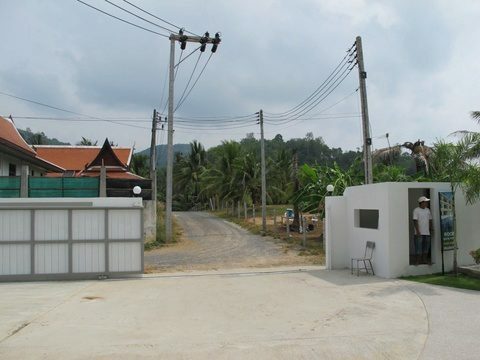 The land plot of the development is 1 Rai ( 1600 sqm) with lovely mountain view. Project is on sale with FREE Thai company. 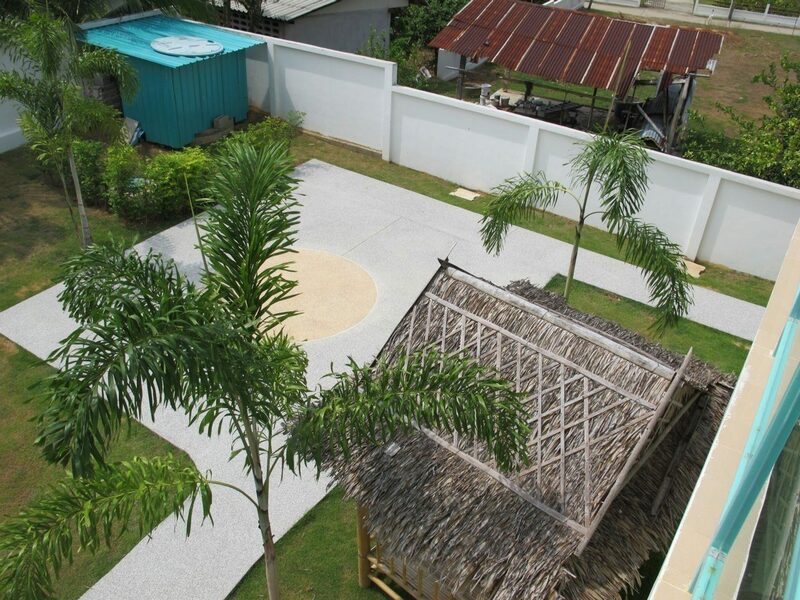 Concrete wall around the whole project. 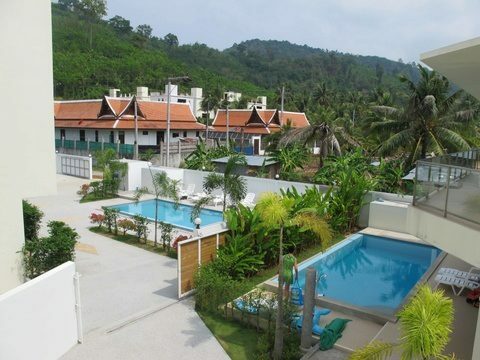 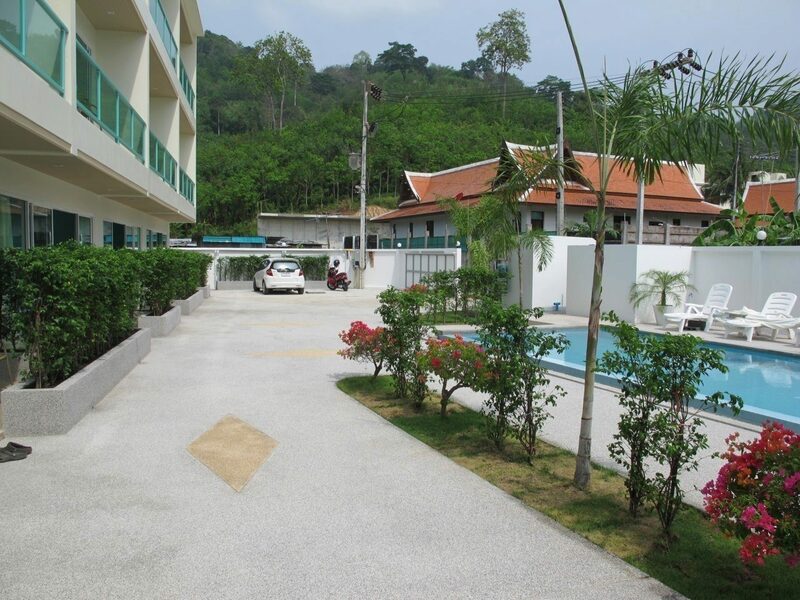 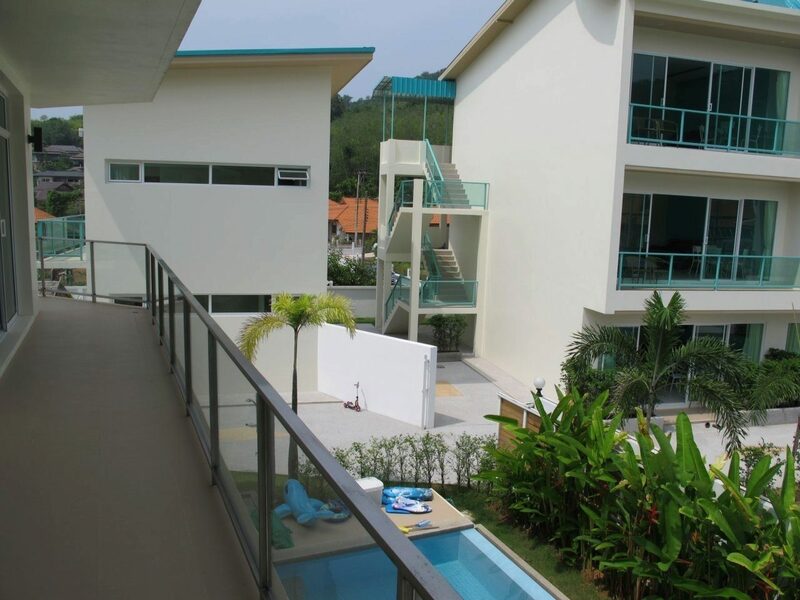 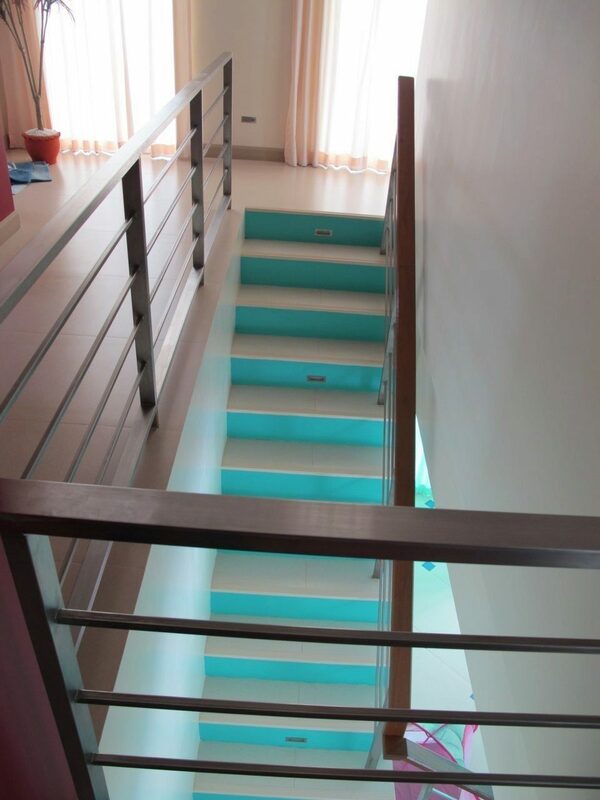 2 swimming pools 1 - for private villa and separate community one. 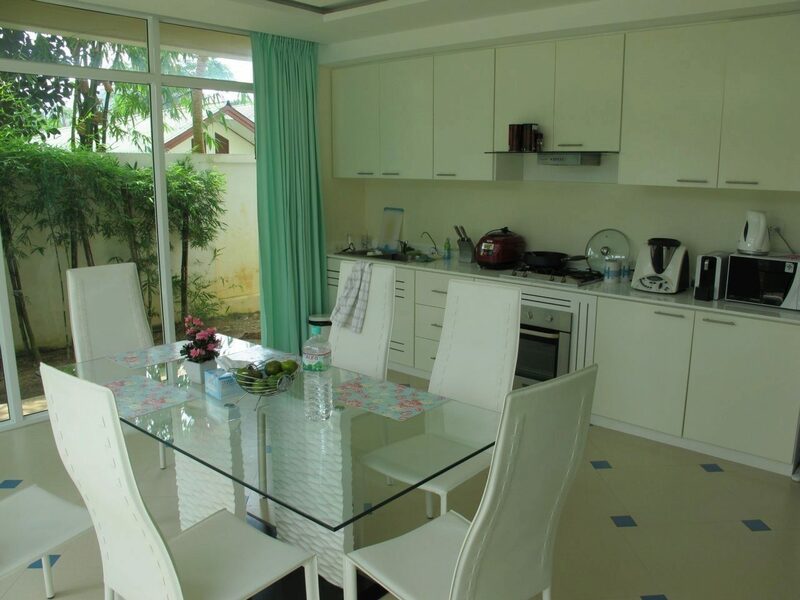 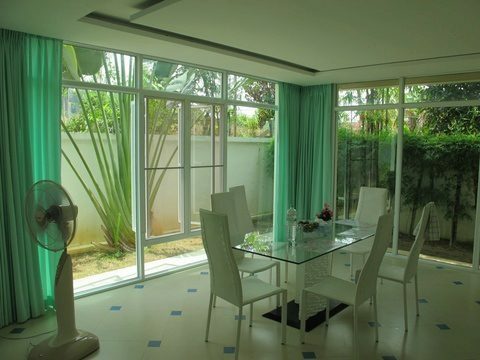 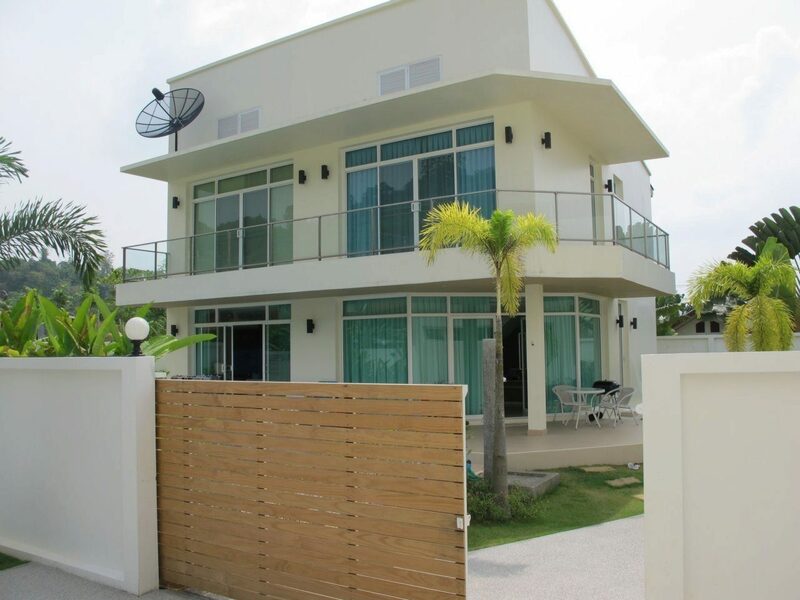 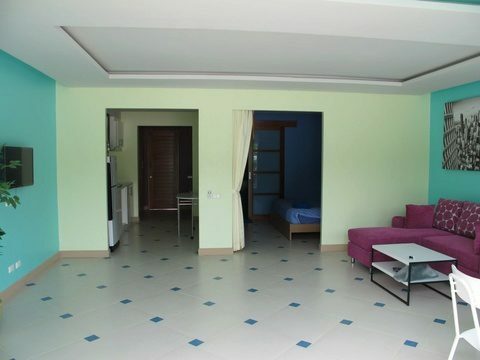 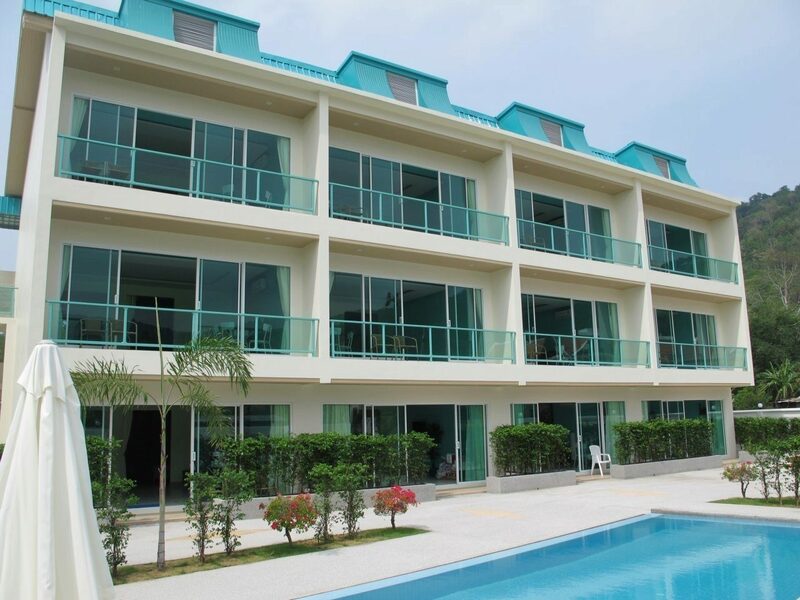 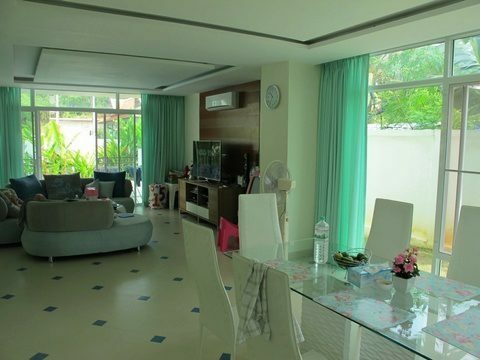 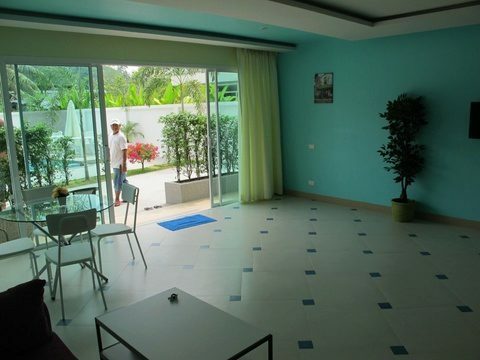 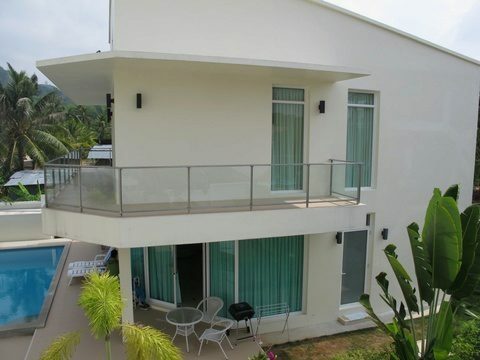 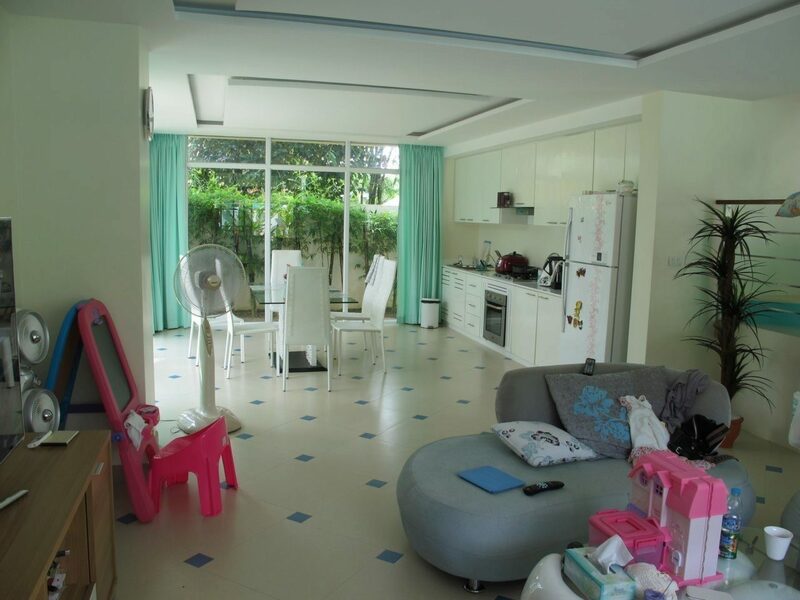 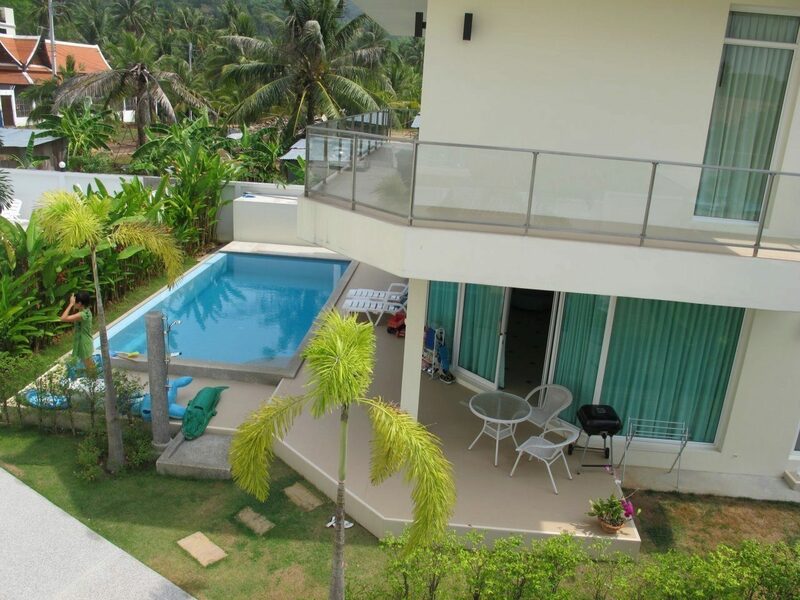 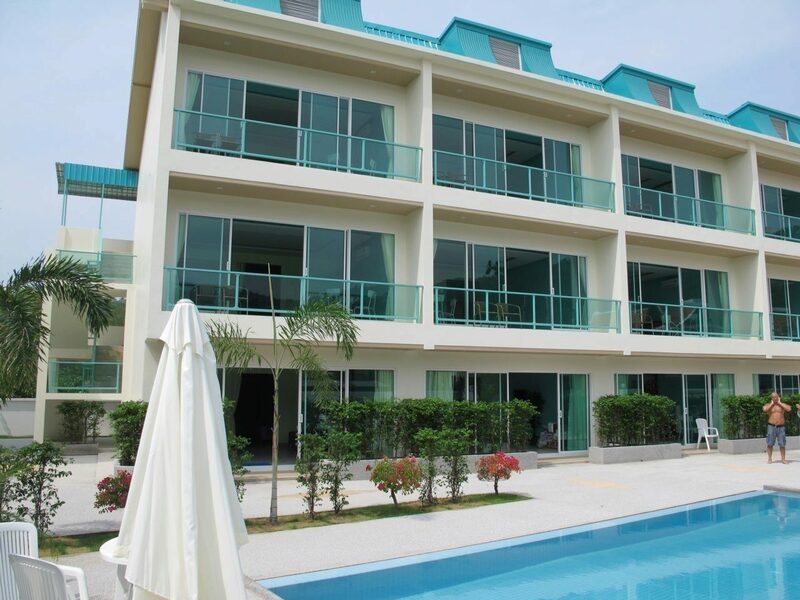 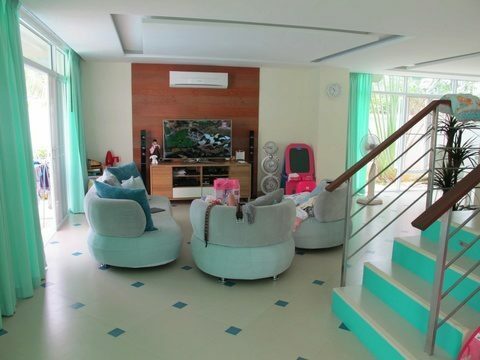 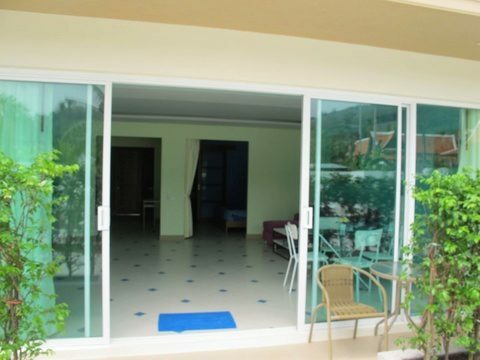 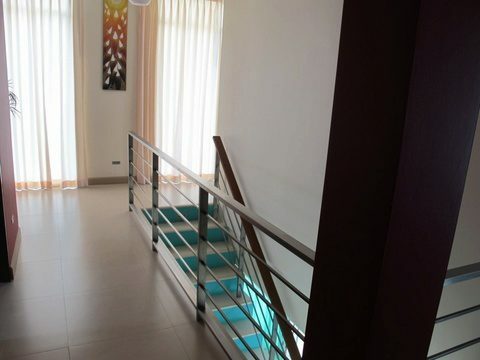 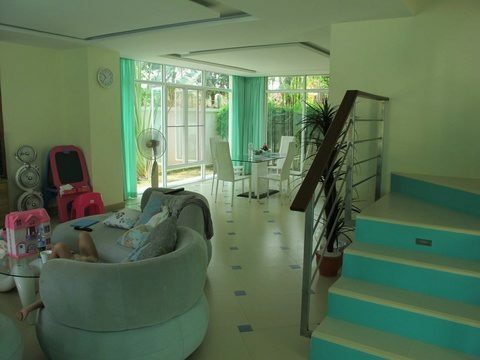 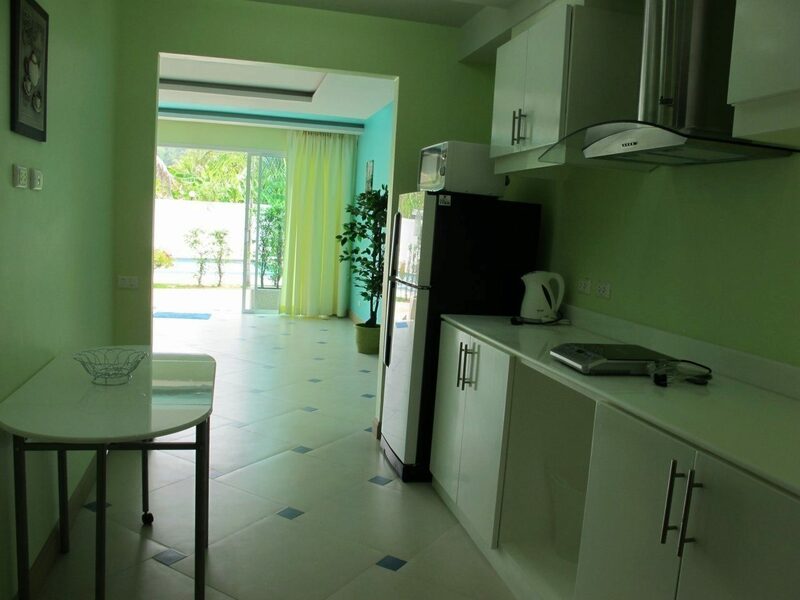 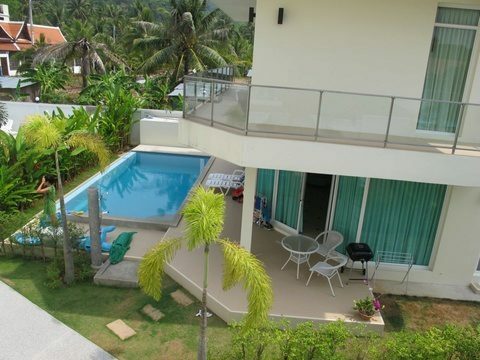 Pool villa with 4 bedrooms, 3 bathrooms, large terrace, air-con in each room. 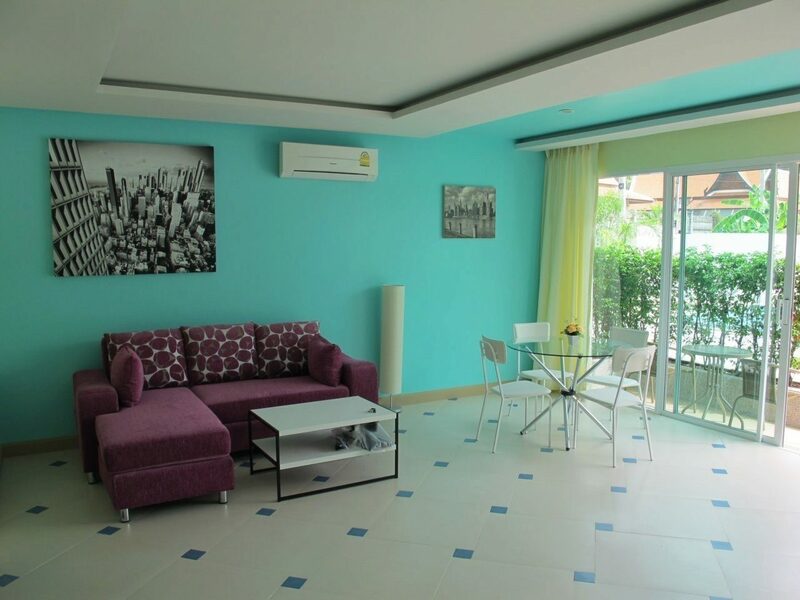 12 good -sized apartments (70 sqm each) - 1 bedroom, large living area (an option to make another small bedroom, spacious terrace and kitchen. 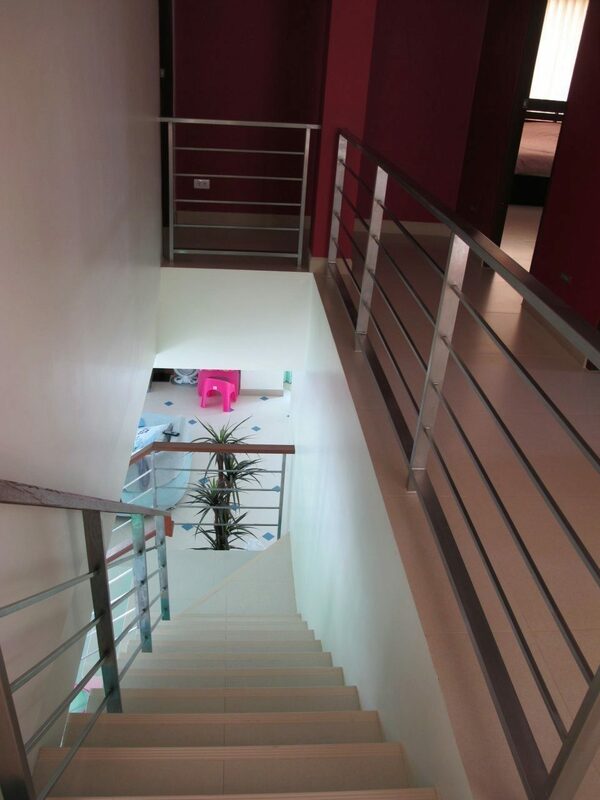 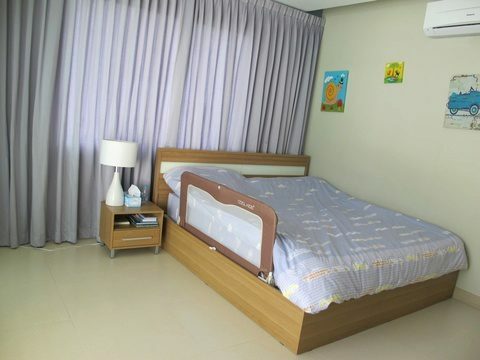 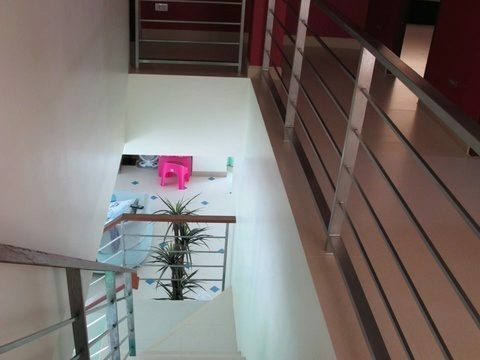 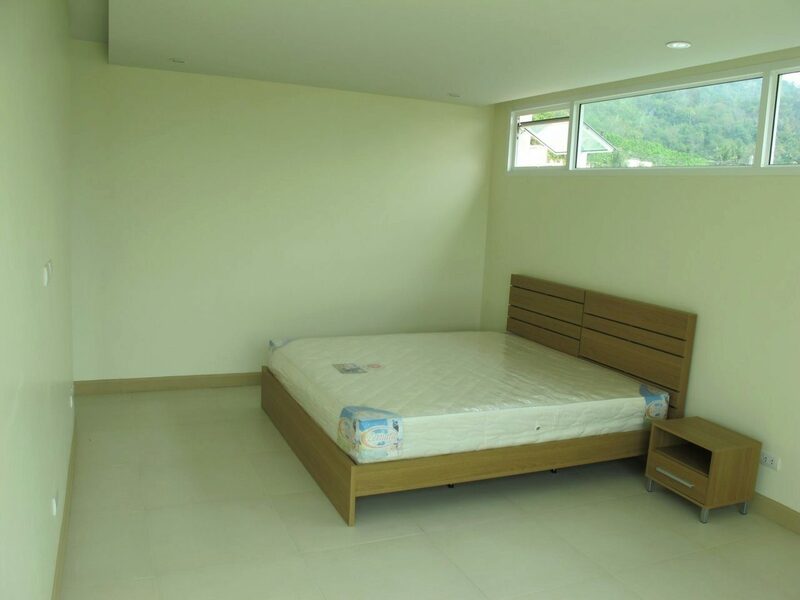 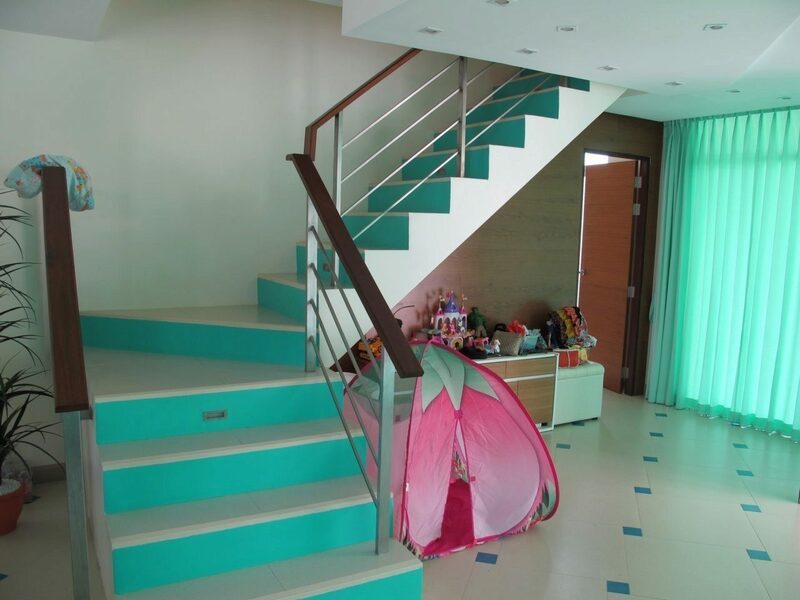 2 storey club-house and restaurant with another guest room and bathroom. 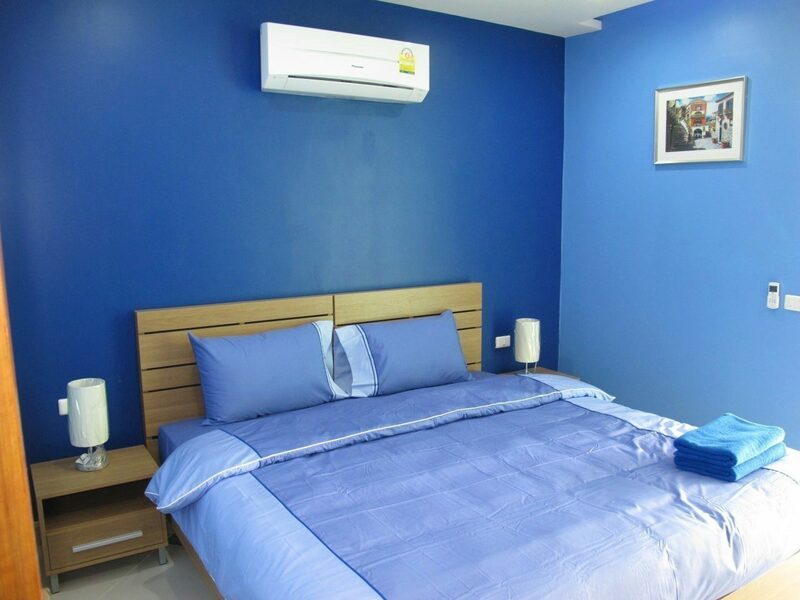 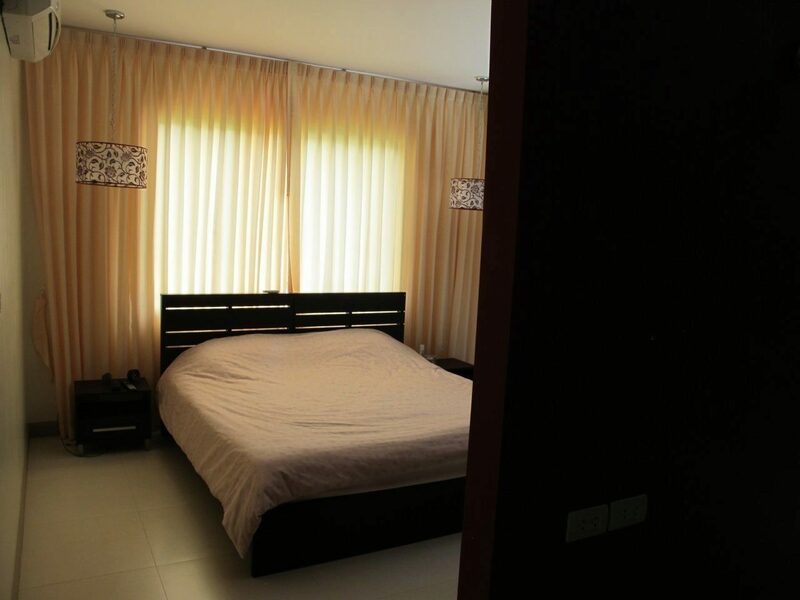 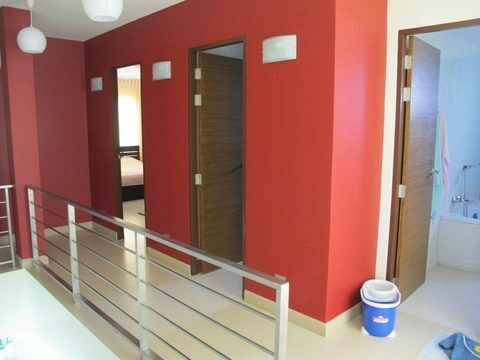 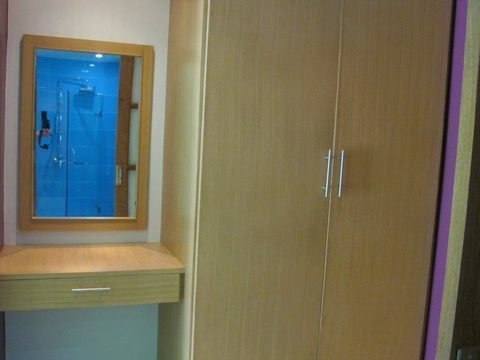 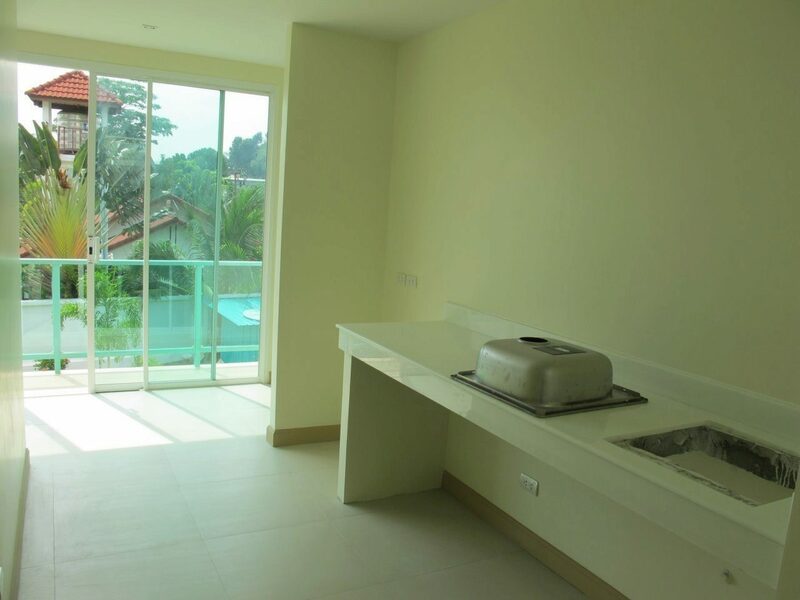 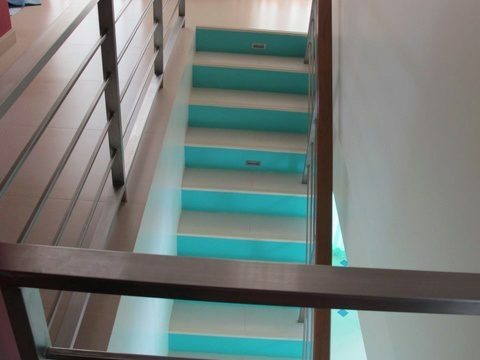 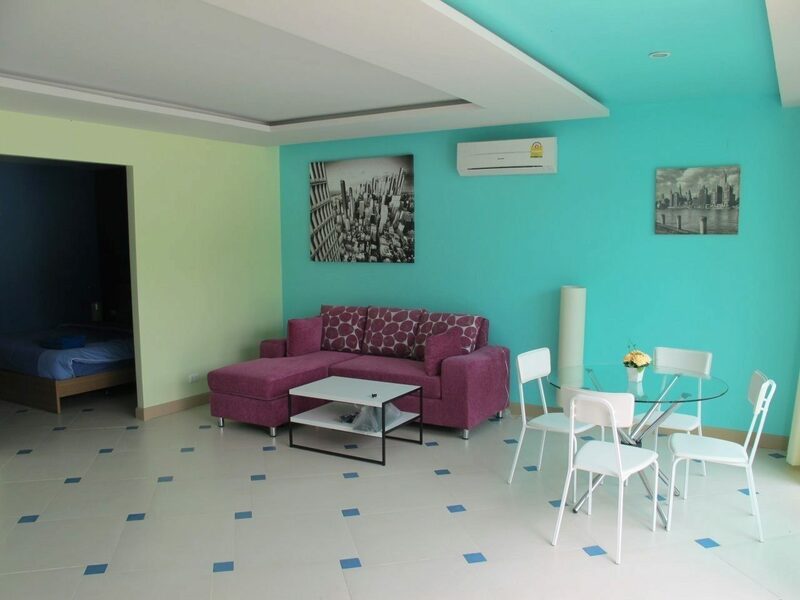 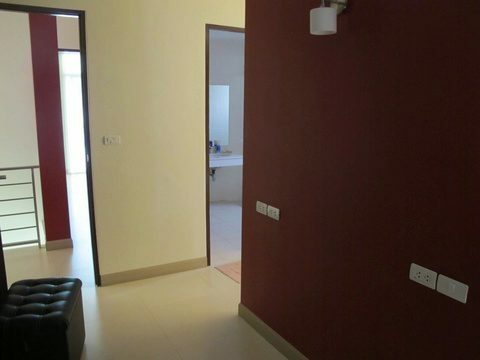 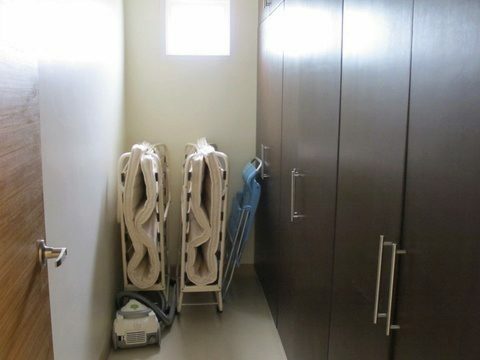 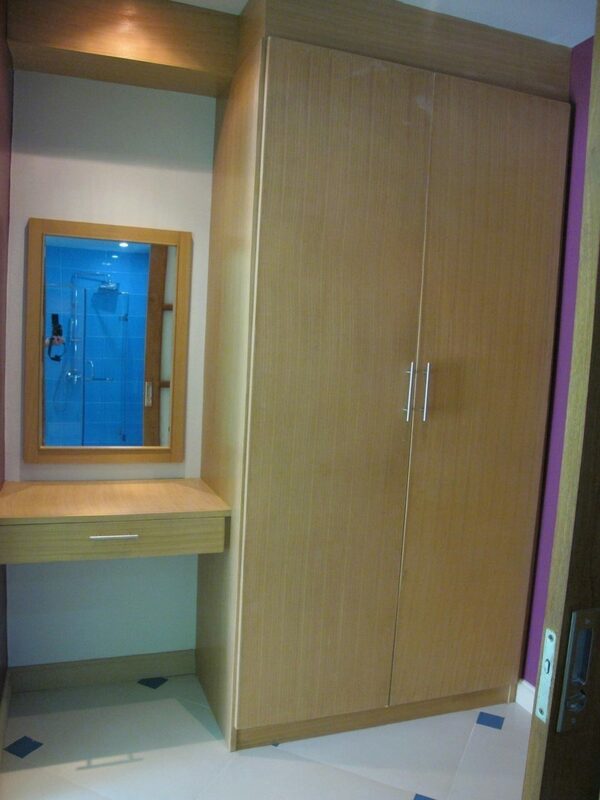 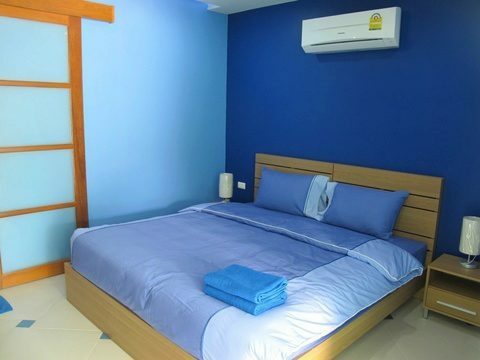 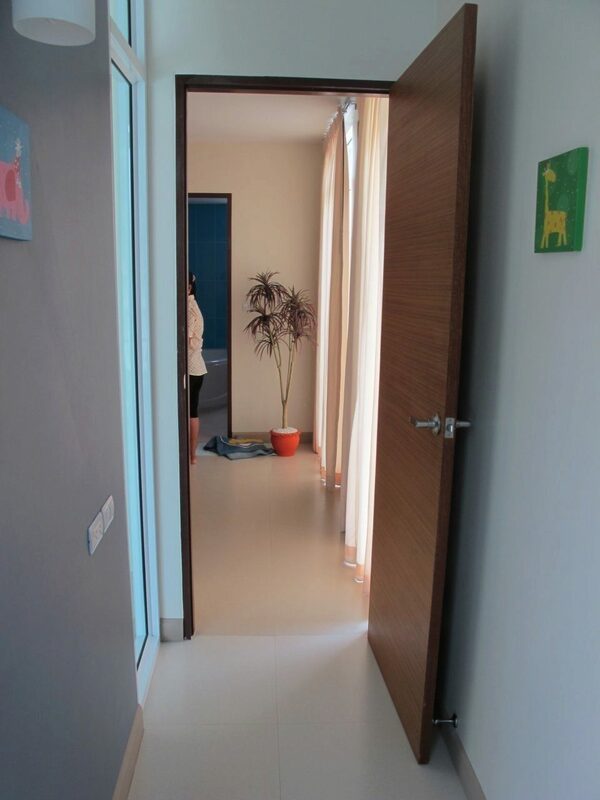 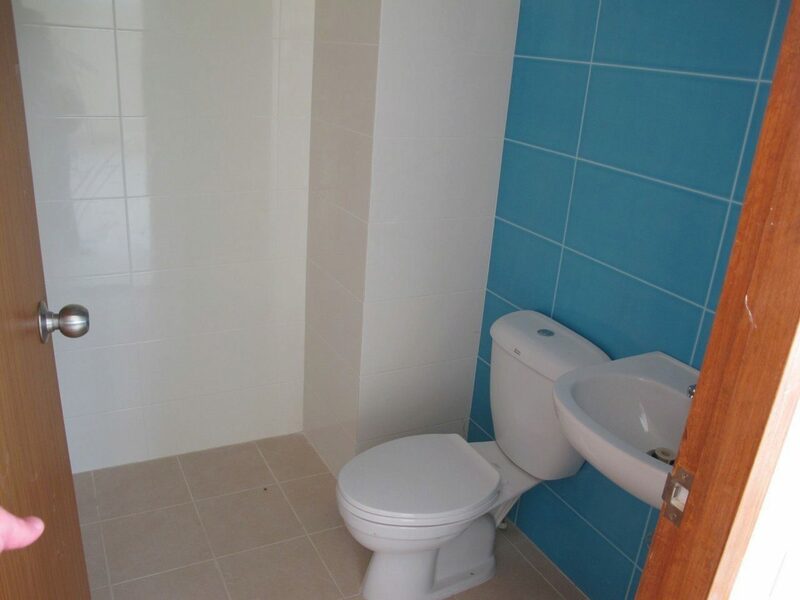 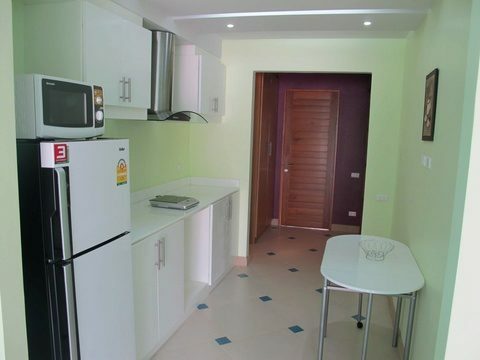 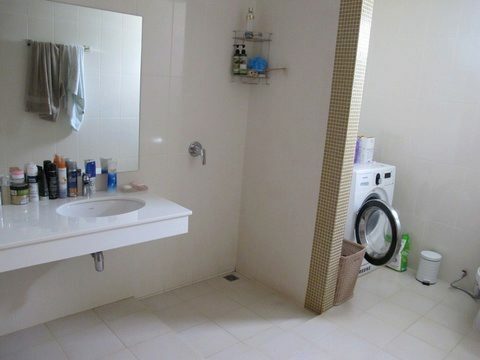 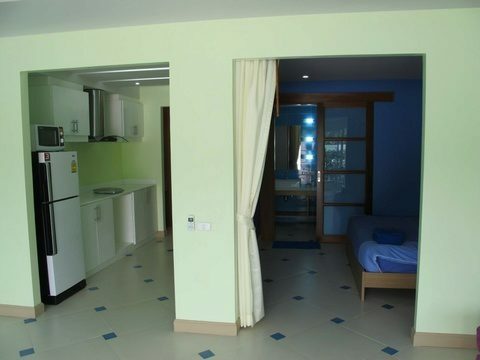 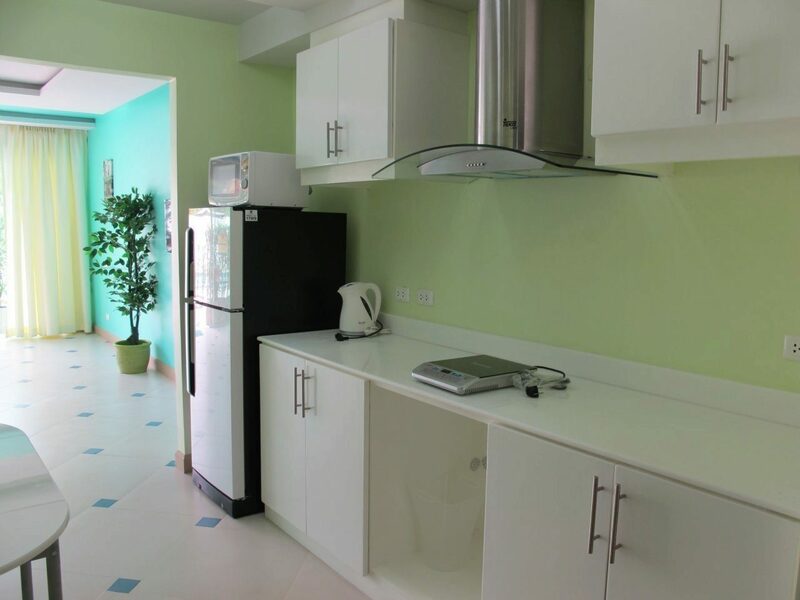 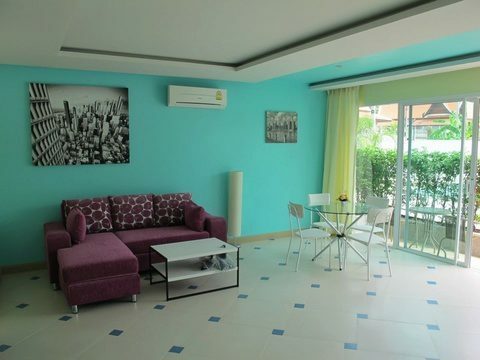 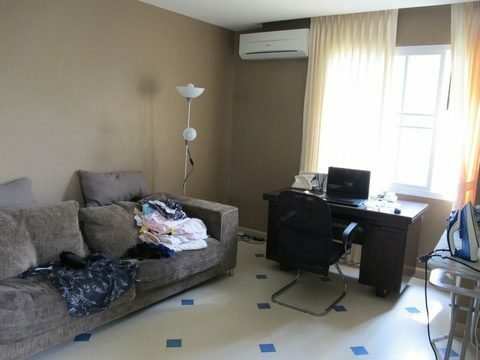 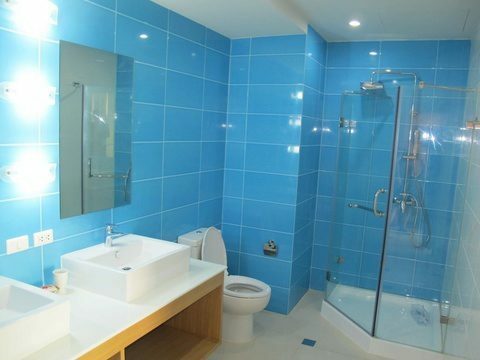 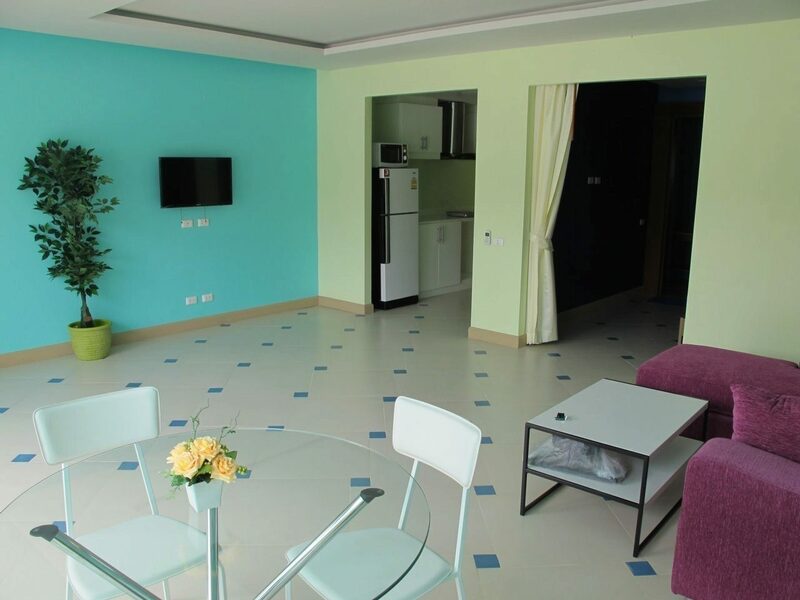 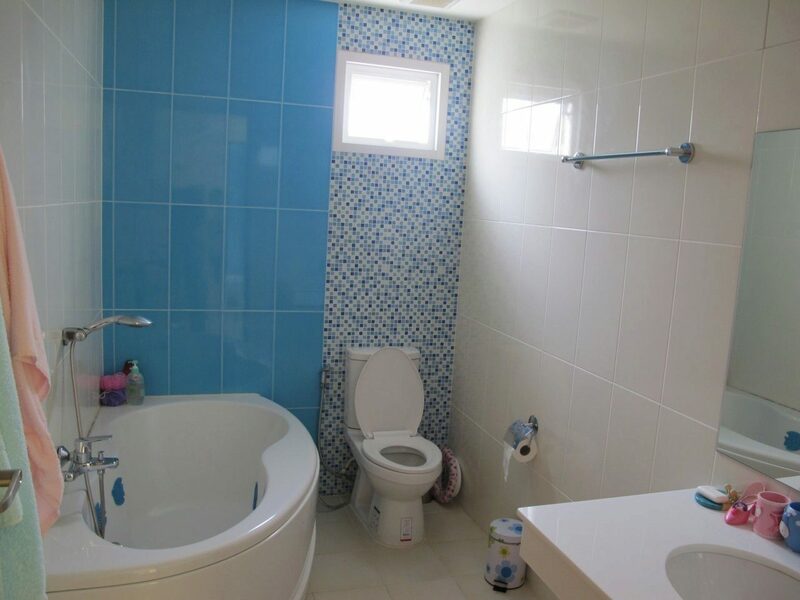 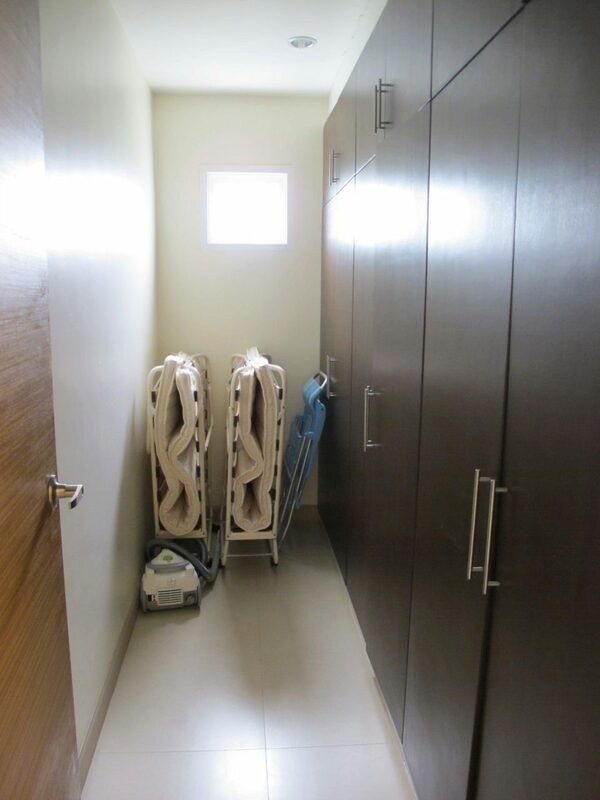 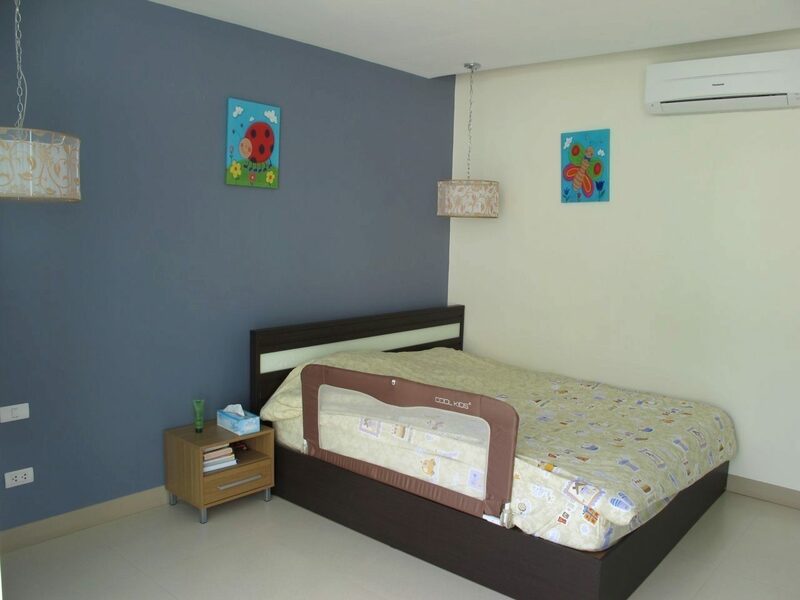 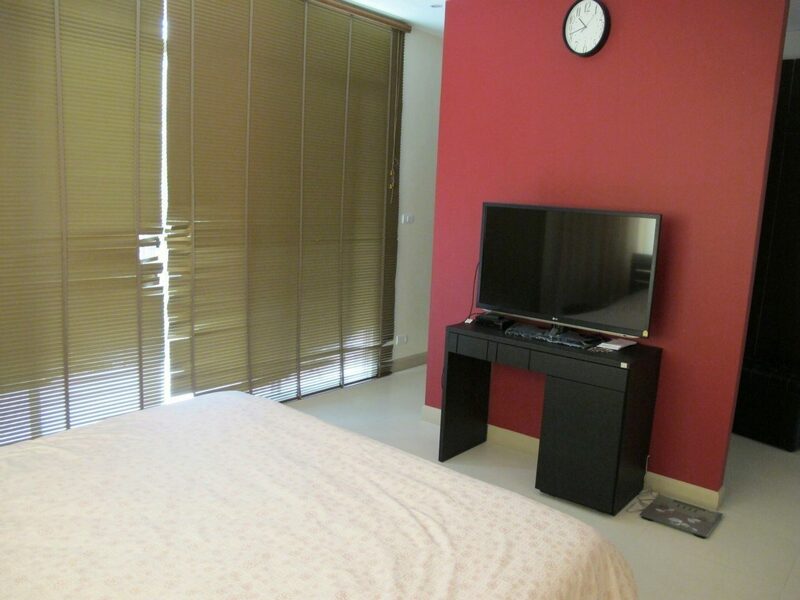 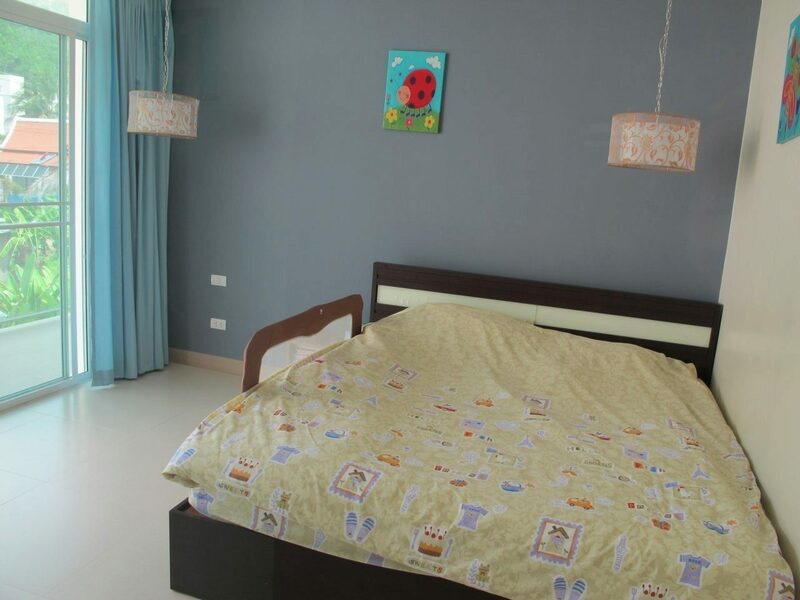 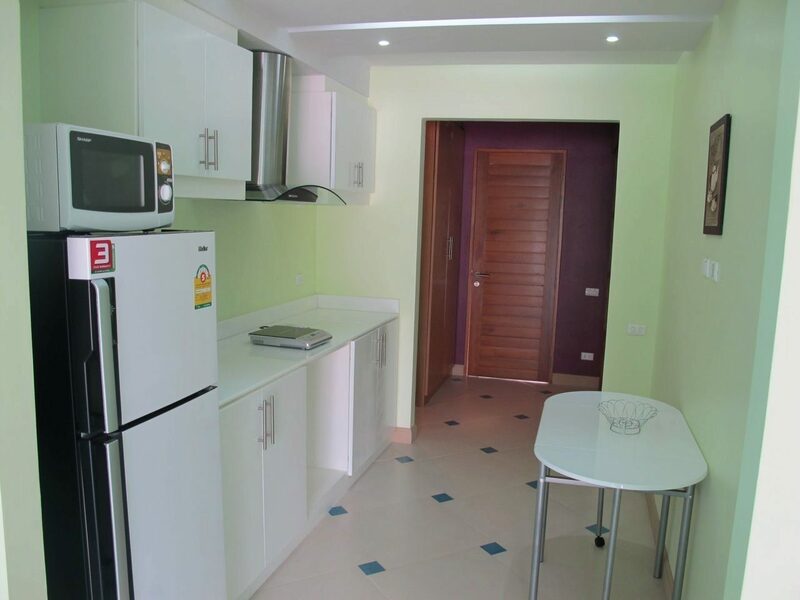 Each apartment has 2 air-con units, wardrobes, build-in kitchen, full bathrooms. 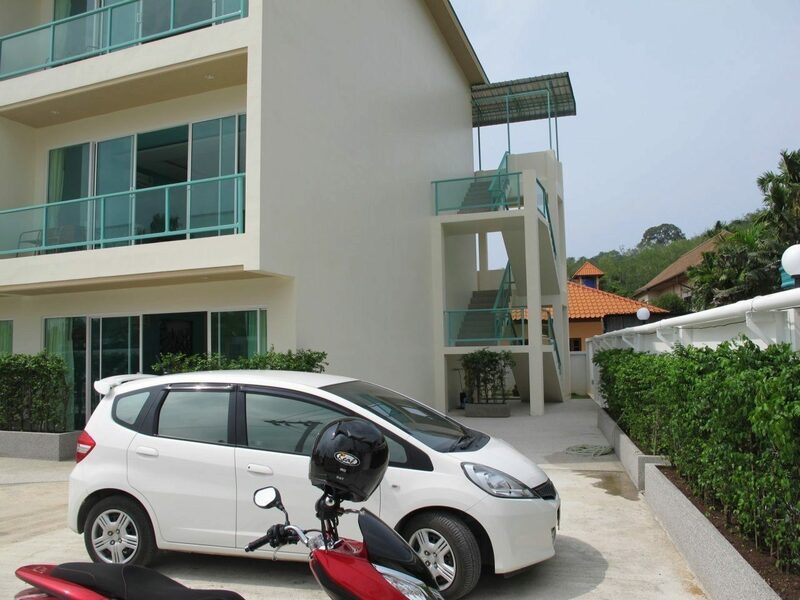 Car and motobike parking. 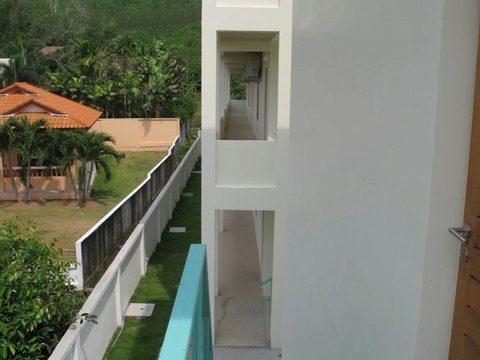 Villa is separated from the apartments by additional gate. 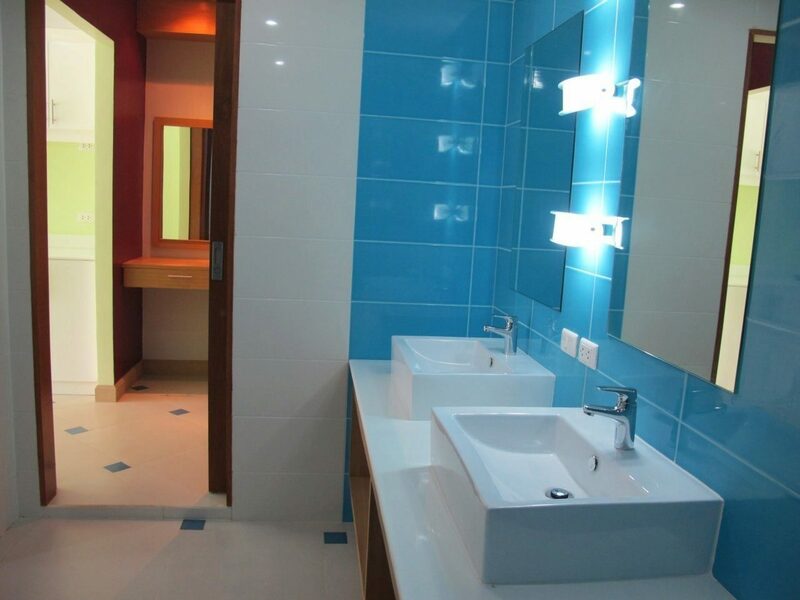 Light, fresh design. 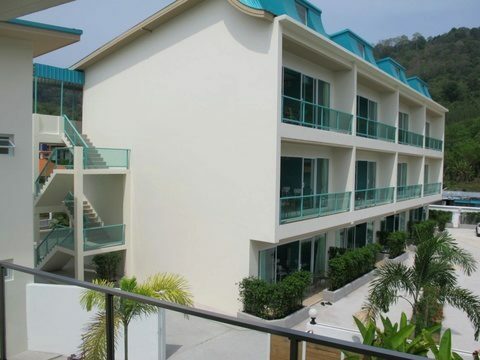 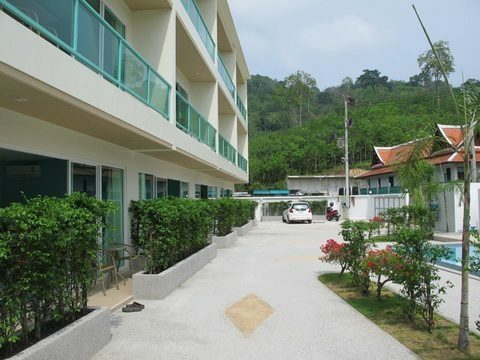 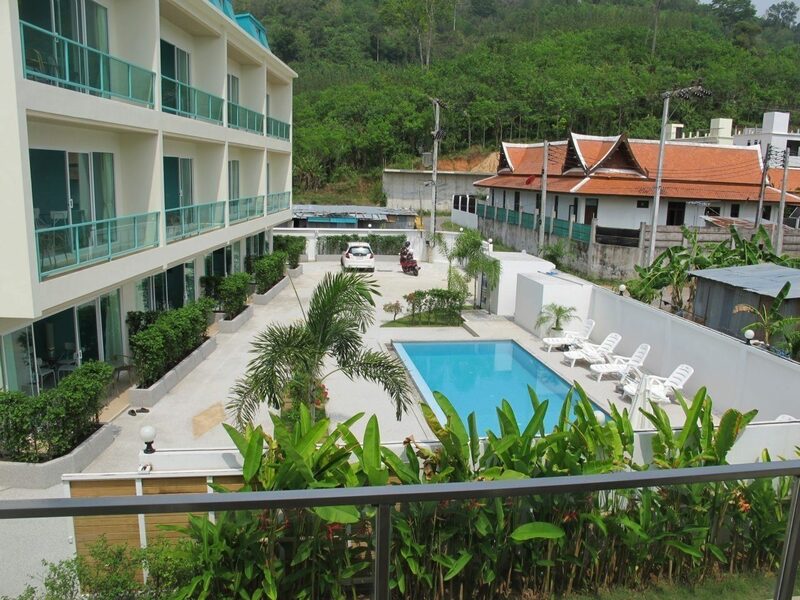 Can be managed as hotel or resort or as serviced apartments, which probably has the best profit. Perfect location is no doubt the great advantage for this investment!